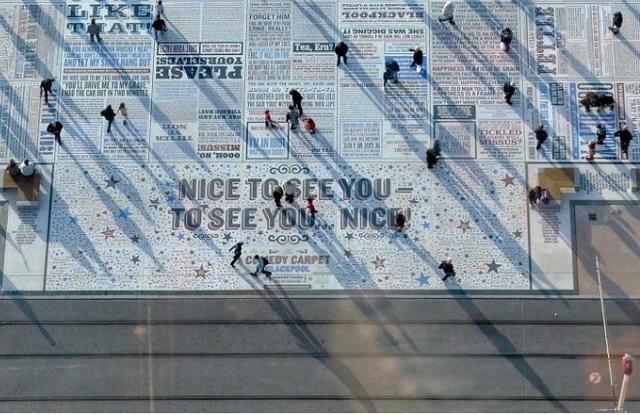 The Comedy Carpet in Blackpool was created in 2011 by Gordon Young. 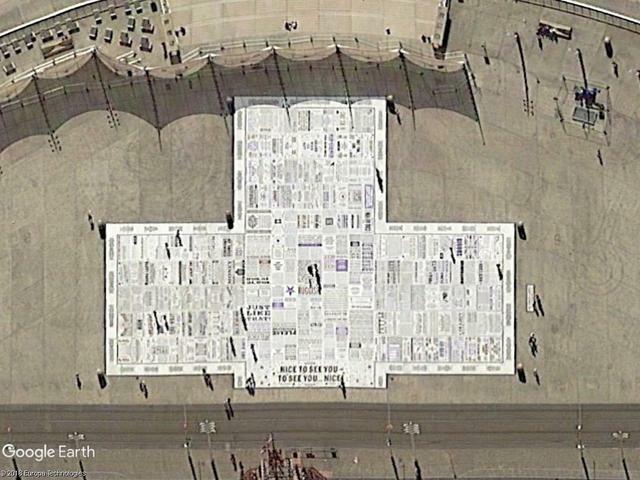 It is reportedly Britain's largest public artwork, covering an area of approximately 2,000 square meters, at the Festival Headland on the promenade opposite the Blackpool Tower. It features jokes and punchlines by comedians that have appeared in Blackpool over the decades, with a total of 160,000 letters. Each letter is cut from granite and provided with white concrete in different fonts. Five months after its opening, the council has had some of the work done away with, believing that the spectators ran the risk of getting in the way of trams.